Let us fix our eyes on things unseen and eternal, and seek The Lord our God with our whole hearts. Let us have everlasting hope in our omniscient Creator, regardless of our human perspective, and fully trust in His perfect plan. And may our faith be refined like silver when tested...glorifying our Holy Father in Heaven. 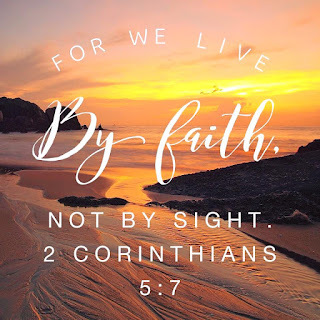 These have come so that the proven genuineness of your faith--of greater worth than gold, which perishes even though refined by fire--may result in praise, glory and honor when Jesus Christ is revealed.